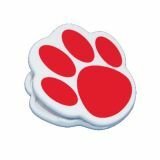 Record 40 weeks of attendance, assignments and more. 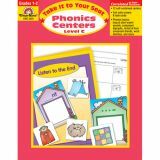 These self-contained, portable centers are a wonderful, motivating way for students to practice important skills. Storage system is built-in hanger pockets, shoe boxes, or folders. 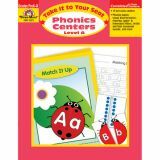 Includes teacher directions, patterns to construct the centers, and students task cards. 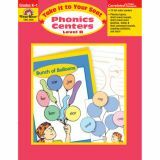 12-18 self-contained centers per book. 192 pages. 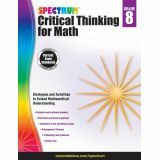 Strengthen problem-solving skills for real-world success with Spectrum® Critical Thinking for Math. All activities support current state standards. Extend classroom learning to real-world scenarios with Spectrum Critical Thinking for Math. 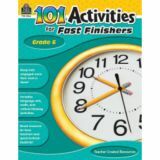 This workbook features problem-solving instructions, math reasoning questions, and word problems to guide children through thinking critically while building and applying skills both in and out of the classroom. 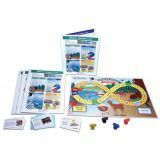 The testing sections help your child retain knowledge, and the answer key provides insight into different problem-solving methods. From early learning to middle grades, Spectrum supports the educational journey with comprehensive, standards-based practice. 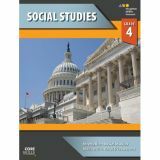 Each grade-specific title enhances and reinforces classroom learning while preparing children for the year ahead, test success, and skill mastery. Whatever your need, Spectrum is with you every step of the way. 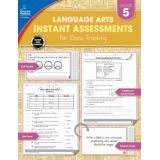 Monitor progress and improve student data tracking for fifth grade language arts with a variety of skill assessments. This 60-minute visual analog timer has helped people manage time for over 20 years. It's simple: when the red is gone, time is up – making life's routines easy and productive! 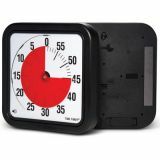 The Time Timer MAGNET is the ideal visual timer for kids and adults alike, whether in the classroom or a meeting room to keep tasks on track. This timer has easy-to-read, large numbers. For the ultimate in flexibility, the Time Timer is available with magnets on the back of the timer so it can be used on magnetic whiteboards and numerous other metallic surfaces. Two foldable feet can also be used to stand the timer on a desktop, or alternatively the timer can be hung on the wall so it is easy to see from around the room and out of reach. This Time Timer can be placed literally anywhere! 12". One (1) AA battery required. Not included. Optional audible signal when time is up. (On/Off Switch). 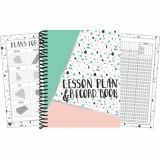 The mathematics standards call for moving beyond memorization, rote learning, and application of predetermined procedures. The standards call on teachers to work toward a deeper conceptual understanding and to foster mathematical reasoning. How do we foster such a deep understanding of mathematics concepts? With deep-thinking math questions, of course. 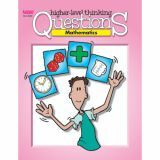 You'll find questions for sixteen mathematics topics to promote mathematical thinking and interaction in your class. 160 pages.